Fluids Flow from a tank or sump on to the filter paper media, which captures the solids. Liquid flows through the filter media and into a base tank. The base is outfitted with a float-activated Sump pump. The Sump pump automatically returns clarified fluid to the original tank, sump, or downstream for further treatment or disposal. As solids accumulate on the filter media, a float connected to a proximity switch activates the conveyor bed index motor. This in turn pushes the paper and solids into a trash collection box or optional WE-Gondola. This simple and reliable technique requires minimal consumables and virtually no attendant labor. 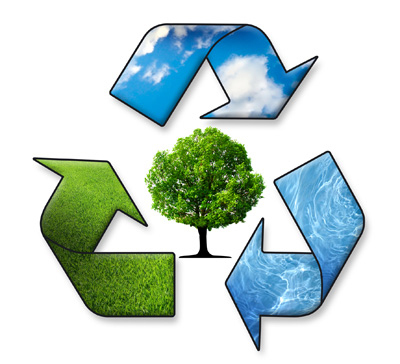 Equipment wash down- stamping die metal debris, construction equipment and auto wash, building cleaning, cement forming/grinding solids, reclaiming/recycling applications such as plastic recycling and scrap metals reclaiming. Standard 3/10 hp, 35gpm @ 19’ of head, float activated sump pump. No need for operator to turn on or off as operations dictate. W.E. Inc. proudly announces its new Gravity Bed Filter (GBF) Series filtration system. The GBF is perfect for applications requiring five to fifty gallons per minute of fluid(s) filtration. The GBF is designed especially for water soluble or synthetic coolants, dirty floor wash, etc. with a typical range of 100-200 micron filtration. The GBF is equipped with an automatic float controlled conveyor to advance filter media and an automatic discharge pump. The GBF Series Units are available in (4) different configurations. 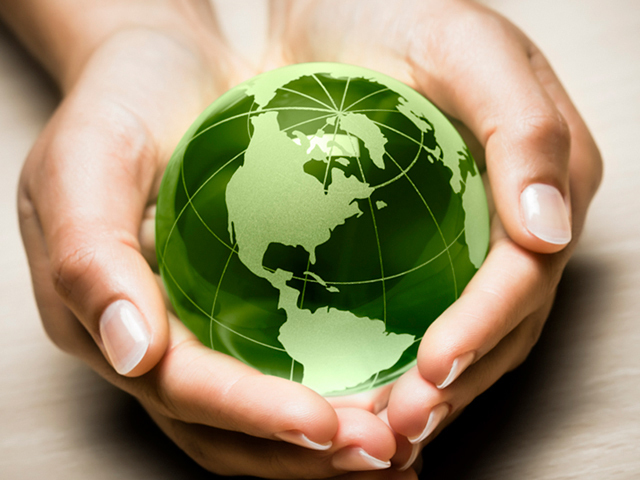 A complete operation/parts manual and (1) roll of filter media is supplied with each filter. Carry a (1) year warranty on all replacement parts. Dimensions: 26”W x 70”L x 29”H. Unit requires 29”W x 750’L filter media roll. Unit includes clean fluids tank with float-activated electric auto return pump. Dimensions: 31”W x 74”L x 32”H. Unit requires 33”W x 750’L filter media roll. Dimensions: 41”W x 84”L x 32”H. Unit requires 44”W x 750’L filter media roll. Dimensions: 55”W x 120”L x 38”H. Unit requires 60”W x 750’L filter media roll. 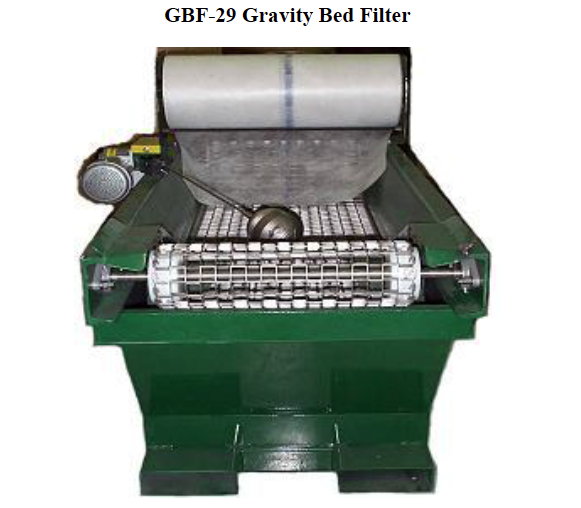 The GBF-29 Automatic Gravity Bed Filter from Wastewater Engineers, Inc. is designed for efficient, cost-effective solids separation. This equipment is simple to use and requires very little maintenance and consumable supplies. Gravity bed filtration has earned a reputation for time and labor savings versus canister filtration where bags require constant changing. Thus savings in labor and expensive replacement bags are realized when removal of gross amounts of solids is required in your operations. The automated function provides constant cleaning capabilities without need for attendant labor.